Your friendly IT Team are specialists in a wide array of development services including software architecture, design and development; website upgrades; email templates; mobile apps and hosting websites, databases or cloud based services. We also happen to be awesome at supporting IT infrastructure and assets, providing help with user guidance and troubleshooting. We do installation, setup and configuration across a range of technologies. We get a feeling for your business, listen to what you truly need and work with you to facilitate a great product that benefits everyone and leaves you with a rosy afterglow. With over two decades of application development experience, Your friendly IT Team can bring life to your ideas. We excel at bespoke solutions designed around your unique business needs. As software development practices, methodologies and technology continues to move forward, so do we. If you have a Software as a Service (SaaS) platform requirement, we can build it with a range of supporting technologies from monitoring and escalation and analytics to continuous deployment and integration. Whether it be a simple website promoting your product or service, or a full-blown e-commerce solution with real-time communications and customer engagement, Your friendly IT Team have you covered. There are still times when a desktop application is the best option for your business. Your friendly IT Team can build you classic Windows applications and services or create modern apps for a variety of uses - including data management, automation, and security systems. SalesForce, HubSpot, SharePoint, Campaign Monitor, MailChimp, PayPal, Stripe, eWay... Just some of the systems we have integrated into our clients business systems and websites over the years. If it has an API out there on the web, we can connect to it and integrate it into your web, mobile or desktop application. Do you need a custom email that looks great whether its read on Apple, Google, Outlook or a Mobile Device? We take this arduous task and make it simple. We take care to listen to your needs and embed unique functionalities that make your email flow, not just swoosh. All our templates are designed from ground up to be cross-platform and responsive ensuring you have the best result possible across a wide range of clients from Outlook to GMail and Apple to Android. Need a form in your email? No problemo! We can build user interaction directly into the email template to improve user experience. Want to give your clients a choice between two products? Sign them up for a competition? Take a Survey? All this is possible with modern email clients and we can take full advantage with our custom solutions. We hand-craft email templates to your specifications (and not a chisel in sight!). Like everything else we do, we take great care to produce an end result as close as possible to your artwork. Need to send out an email newsletter with a custom template through Outlook and Word? We can set up the template with mail merge fields and make sure it looks the way you expect it to when it arrives in your client's inbox. We provide a comprehensive range of consulting and development services for Umbraco CMS - external site including site rescues and support. 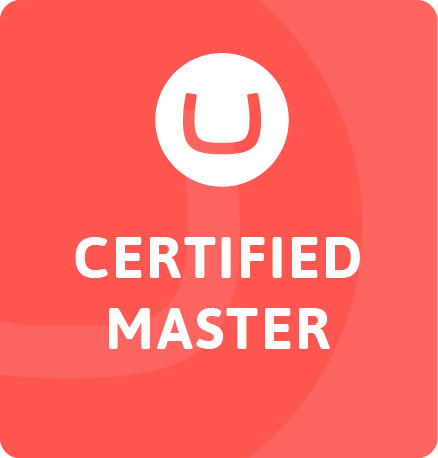 As an official Umbraco Partner you can be sure that we maintain our certification and training on a regular basis and regularly interact with the local and global Umbraco community through participation with local and global events as well as contributions to Umbraco core and plugins. Our Umbraco audit service can help identify performance issues, software architecture problems and best practice improvements to help bring your website back to health. Our support program makes it easy to keep on top of your website maintenance. With a range of options we can tailor a website support package to suit your requirements and budget. Your friendly IT Team are specialists in web hosting. With over 20 years experience in cloud, virtual private server, dedicated and shared hosting; we can come up with a solution that fits your requirements and budget. Most of Your friendly IT Team's clients choose Azure as their hosting platform. We manage , monitor and maintain your infrastructure on Azure. If required, we can provide, monitor and maintain VPS, Dedicated and Shared Hosting through one of our chosen hosting partners. Have your own Hosting? We often are called to provide support and maintenance services for clients with their own hosting arrangements and are more than happy to help. Your friendly IT team fosters true equality in all our business and client partnerships, benefiting everyone and is why our clients come back to us. We value communication and connection and always look for where we can improve quality in our clients systems. Your friendly IT Team also enjoys a rich network of partnerships with other digital agencies. No room for competition here - only connection and collaboration. We provide the technical expertise that helps them deliver world class and inclusive digital experiences to their clients and users - without having to hire a full time team of developers.